Home BOLLYWOOD Is This The Reason Behind Malaika Arora Khan-Arbaaz Khan Split? 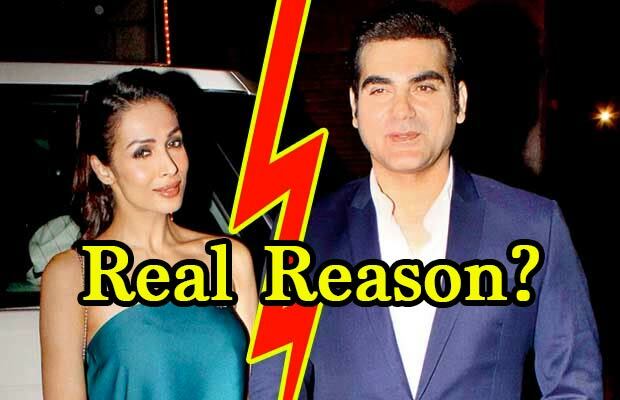 Is This The Reason Behind Malaika Arora Khan-Arbaaz Khan Split? [tps_footer]Couple Arbaaz Khan and Malaika Arora Khan tried their best to save their 18 years old marriage, but it seems there is no way to mend bridges and are reportedly heading for divorce. If recent reports are anything to go by, reportedly, Malaika Arora Khan has filed for divorce and has decided to end her marriage with Arbaaz Khan. Though Salman Khan tried his best to sort differences between the two, nothing worked out. However, the two have been regularly updating on social media to rubbish the rumours on their divorce, but its not what it looks like. Malaika’s parents were even spotted at dinner with Arbaaz Khan to sort the difference between the two, but reportedly, Malaika isn’t willing to listen to her family and friends. Also, off late, Malaika was not seen in any of Khan‘s family gatherings. The actress went missing during Arpita Khan Sharma’s baby shower celebrations too. She didn’t even attend her sister Amrita Arora’s birthday party in Dubai, as Arbaaz Khan was present. Well, all these things have given clear indication on the differences between them. Meanwhile, as divorce rumours are doing rounds, Malaika Arora Khan’s mother Joyce Polycarp has reacted on the same. Her mother Joyce Polycarp isn’t willing to say anything and thinks that they are grown up adults. She even stated that she doesn’t want to get into it as it’s their business. The rumours about their split were out for the first time when the two were not seen together on the television reality show ‘Power Couple’. Malaika’s off and on presence on the show had left everyone wonder on their marriage status. Reportedly, reason behind their sour marriage is said to be Arbaaz Khan’s not so happening and failed career. Apparently, Malaika Arora Khan is not happy with her husband’s career and that she is solely handling her son’s school expenses and rest. Arbaaz is not financially stable and it seems to be the major reason why Malaika has chosen to take a huge step to divorce. However, neither of them have confirmed on this news. Previous articleAditya Roy Kapur To Play Himself In OK Jaanu!